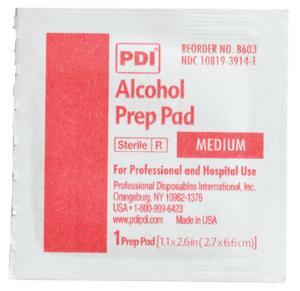 Each soft pad is saturated with 70% isopropyl alcohol. They meet the highest bacteriological standards. Alcohol preps are gamma sterilized to meet AAMI standards.